Creating a successful music festival involves so much work from so many talented people. It takes a massively coordinated effort to pull it off, from the minute details ironed out by city officials, promoters, agents and musicians, to the day-of execution by sound techs, roadies, security personnel and food vendors (bless you, corn dog/funnel cake chefs of the world). One aspect of festivals you’ve surely noticed, but maybe not thought much about, are the visual graphics and printed materials displayed everywhere. Sure, the giant colorful backdrops and banners on stage stand out, but you might be surprised to hear that these events can require thousands of individual visual elements altogether. 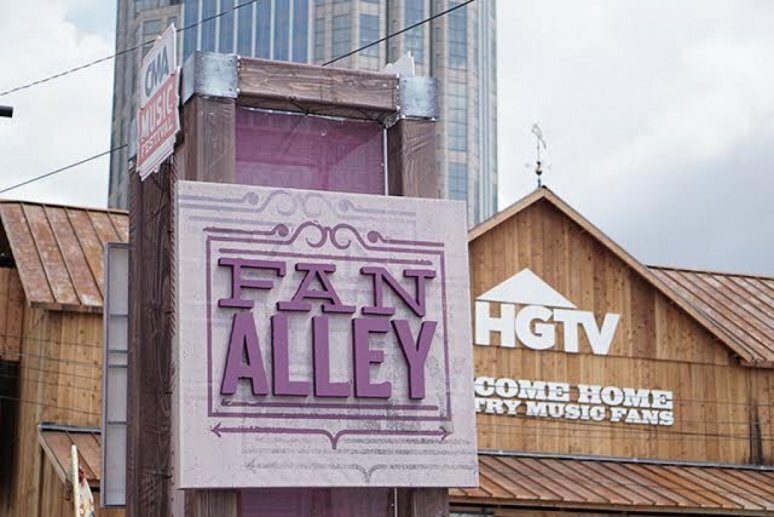 With a résumé boasting the likes of Bonnaroo, The Hangout Fest, and multiple CMA Music Festivals, Big Visual Group has knocked it out of the park when taking on the large-scale printing needs of these in-depth productions. 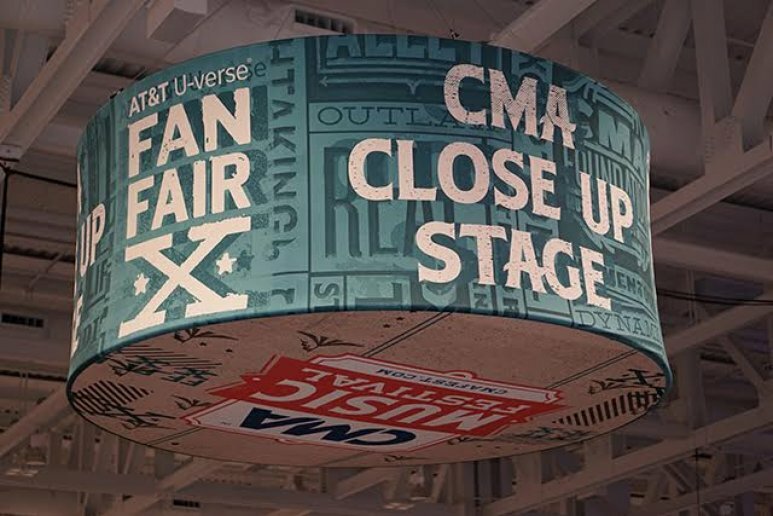 From wayfinding signs that point out directions to enormous, multi-piece fabric banners, every detail is meticulously crafted by Big Visual Group. Everything is handled in-house, meaning Big Visual takes care of designing, printing, fabricating and installing each element. 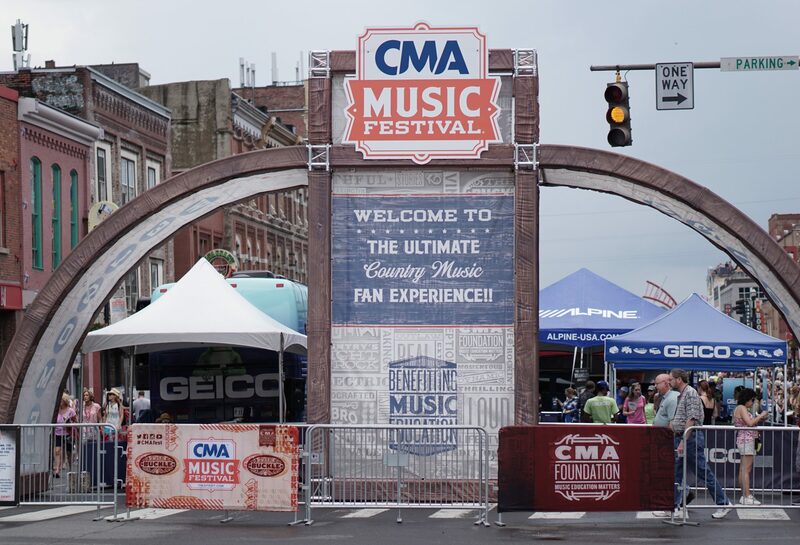 For a music festival, this can mean stage backdrops, scrims, directional signage, booth displays, bike rack wraps, hanging fabric signs, flags, pole banners, inflatables, sidewalk and window decals, and more. 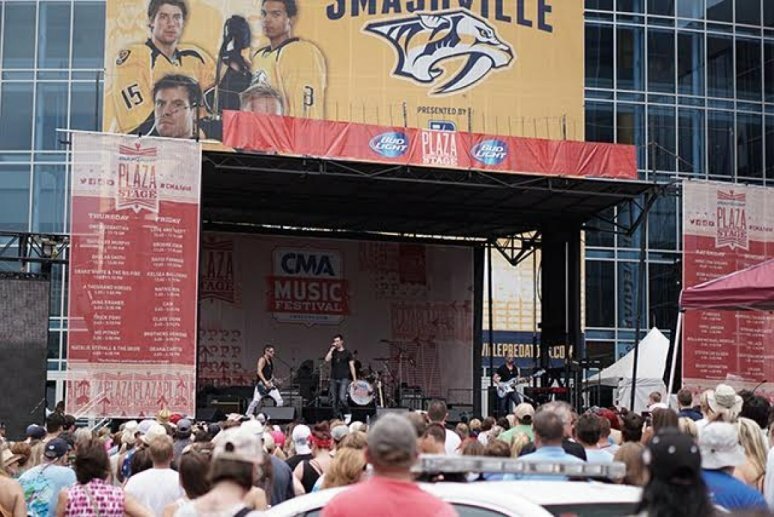 Big Visual Group was pleased to be the print and sign partner for CMA Fest 2015. These pictures display the inspired and exhaustive measures Big Visual takes to make its mark on a music festival.